Will overtaking get easier? Can Ferrari continue their rise? Will Robert Kubica return? And can Renault come good on their 2020 promise? 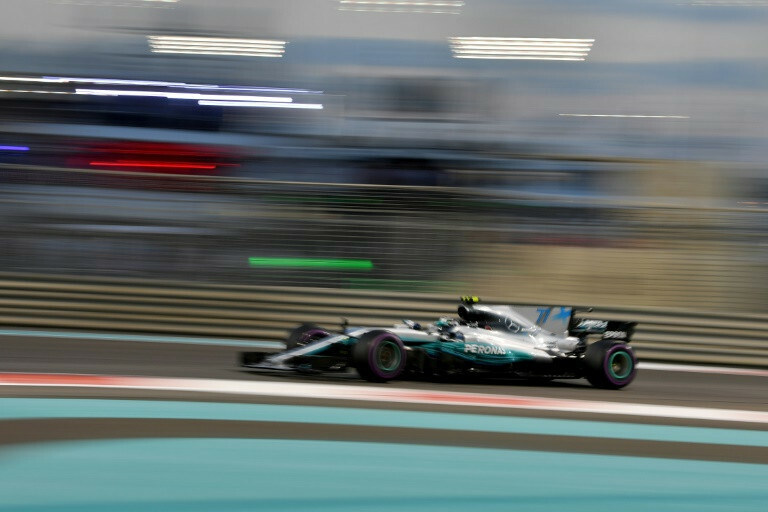 AFP Sport looks ahead to the 2018 Formula One season. Sebastian Vettel won five Grand Prix as Ferrari made a stunning return to form in 2017 in an eventually failed bid to end a nine-year title drought. German outfit Mercedes have had a cast-iron grip on the world title, winning the last four, but their chief Toto Wolff was full of praise for the Italians. "From the get go, they had a very quick car," he said. But he also felt other teams could make equally dramatic returns to form next season. "Today, as it looks, it's Ferrari and Red Bull. But I'm curious to see where McLaren and Renault are going to come out, as the teams that have the resources." Liberty Media, the new American owners of the sport, are desperate to win back the fans. Among the initiatives being planned is the obligatory installation of 360-degree cameras on all cars, but the real key will be making overtaking easier. "Impossible to pass here, man," Lewis Hamilton told his winning teammate Valtteri Bottas and third-placed Sebastian Vettel at the Abu Dhabi Grand Prix. "I think they've got to change this track," he went on. "The more overtaking there is the more interesting it is for the spectators." On paper at least the new Pirelli tyres could produce the fastest times ever. The reduction in engines used in a season from four to three will also sea a flurry of grid penalties, as will the limiting of fuel consumption. But the general look of the Formula One racing car will be rather similar to the current model except for the cockpit, where the introduction of the Halo cockpit protection concept has changed the look and divided fans. The halo has a curved windscreen which Vettel said made him feel dizzy but which is aimed at giving greater head protection. The French outfit wants to compete for the title by 2020 and has been working in the shadows to recruit fresh talent -- not only Carlos Sainz Jr joining Nico Hülkenberg but throughout their team -- after a disappointing season. In addition, they are building what they call a new super-engine which they will also provide to McLaren. Talented Robert Kubica, now 32, looks set for an emotional return to F1 seven years after partially severing his right arm in a crash. Kubica tested for Williams following the season-ending Abu Dhabi GP, and the Pole took part in a two-day tyre test alongside Russian Sergey Sirotkin as the British-based team try to settle on their 2018 line-up. 0 Response to "Five things to watch out for in 2018"